Compared to Donald Trump, Hillary Clinton presents herself as the well-qualified steady hand to manage U.S. foreign policy over the next four years, yet she has associated herself with a series of failed strategies and now faces an FBI judgment that she was “extremely careless” in protecting national security secrets. A partial list of her dubious and dangerous judgments include voting for the catastrophic Iraq War, pushing for a misguided counterinsurgency “surge” in Afghanistan, embracing an anti-democratic coup in Honduras, undercutting President Obama’s efforts to peacefully constrain Iran’s nuclear program, devising the disastrous Libyan “regime change,” advocating a new invasion of Syria under the guise of creating “safe zones,” likening Russian President Vladimir Putin to Hitler, and – now according to FBI Director James Comey – failing to protect classified material from possible exposure to foreign adversaries. Clinton admits that some of her judgments were “mistakes,” such as believing President George W. Bush’s blatant falsehoods about Iraq’s alleged WMDs and using a personal email server to communicate regarding her duties as Secretary of State. But arguably even more troubling is the fact that she doesn’t regard other of her official judgments as mistakes. Instead, she holds to them still or spins them in deceptive ways. For instance, Clinton has never expressed regret about her support for the ouster of progressive Honduran President Manuel Zelaya in 2009, or her siding with Defense Secretary Robert Gates and General David Petraeus against President Obama in mouse-trapping him into a foolhardy counterinsurgency escalation in Afghanistan, or her sabotaging Obama’s plan in 2010 to use Brazil and Turkey to convince Iran to surrender much of its refined uranium, or her propagandistic justification for bombing Libya in 2011 and leaving behind what amounts to a failed state, or her similar scheming for “regime change” in Syria that helped expand terrorist movements in the Middle East and has now destabilized Europe, or her reckless demonizing of Russia’s Putin and encouragement of a dangerous new Cold War. In many of those cases, Clinton has not been called on to apologize or admit error because Washington’s neoconservative/liberal interventionist foreign-policy establishment marched in lock-step with the former Secretary of State. It turns out that if you move with the pack, you do enjoy relative safety even if your collective judgment is unsound. Usually, the people picking up the messy and blood-spattered pieces left behind by foolhardy policies are American soldiers and taxpayers whose opinions don’t matter much in the rarefied atmosphere of Officialdom. Arguably, Comey’s July 5 statement terming Clinton’s use of an unsecured email server as “extremely careless” but not criminal was the worst possible news for the Democratic Party. A recommendation to indict Clinton might have compelled her to step aside and let the party nominate someone more likely to defeat Republican Donald Trump, but the lack of an indictment probably means that Clinton will persevere through the Democratic convention and go into the general election as damaged goods. 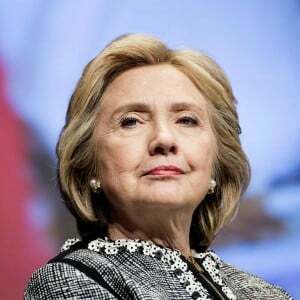 That outcome means she will be viewed by many voters as a privileged politician who was let off the hook while more poorly connected Americans would likely have ended up in prison.Assessing Clinton’s sloppy use of a private email server – a process that she justified as a matter of personal convenience so she could keep her beloved Blackberry – Comey said laws may well have been broken and national security secrets may have been jeopardized to foreign governments though he couldn’t say for sure that her server was successfully hacked. Explaining his reasoning, Comey said, “Although there is evidence of potential violations of the statutes regarding the handling of classified information, our judgment is that no responsible prosecutor would bring such a case.” Despite Comey’s recommendation, the ultimate decision still rests with Justice Department prosecutors. But the impression that many Americans will get is that there is one set of rules for the “great and powerful” and another set for the rest of us, an extraordinarily damaging message in a political year of obvious voter discontent with the Establishment. While there will be enormous pressure on responsible Americans not to elect the loose cannon known as Donald Trump, there are serious worries that Hillary Clinton may present her own enormous risks as President. Will she surround herself with neocons and liberal hawks who will be eager to jam the American people into new and even more dangerous wars, including possibly the most reckless “regime change” of all, in Moscow? Will she turn U.S. policies in the Middle East over to Israel’s right-wing leader Benjamin Netanyahu as she has implied in her desire to take the relationship to “the next level”? Will she display the same faulty warmongering judgment that she has demonstrated again and again, but without the temporizing influence of President Obama? These are legitimate questions that Americans have the right to consider as they weigh which of the two highly unpopular standard-bearers to pick between. Even as Clinton has shifted her rhetoric toward a more populist style and given at least lip service to some of Sen. Bernie Sanders’s social issues, she has shown no moderation of her hawkish foreign policies.